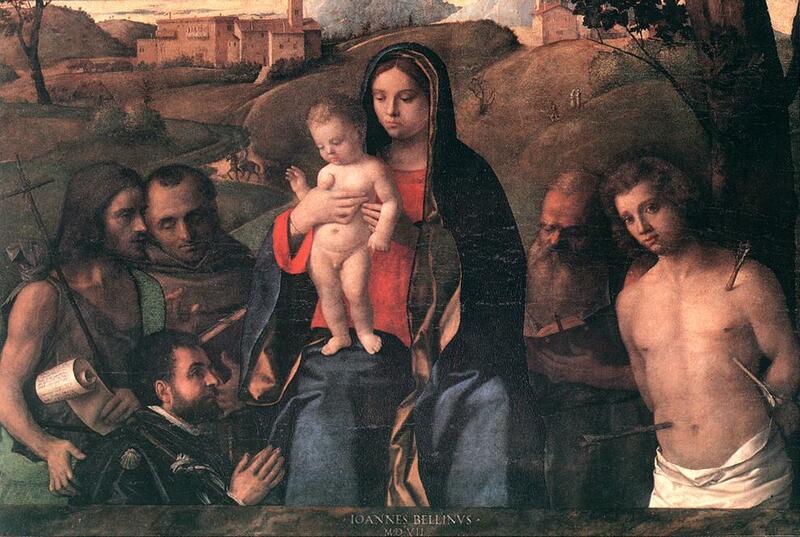 It is one of the "Sacra conversazione" compositions of the artist. The painting probably belonged to the altarpiece Chist Crowned with Thorns (now in Stockholm) which was donated to Louis XII, King of France. The four saints are John the Baptist and Francis at the left, Jerome and Sebastian at the right. It is signed and dated as "IOANNES BELLINVS / M.D.VII. ".